Long time business owners in Warrenton, Beckie and Cecil Campbell, have had a successful tractor shop in town for over 30 years. In 2007, they decided to spread their success to the nursery and garden center business. 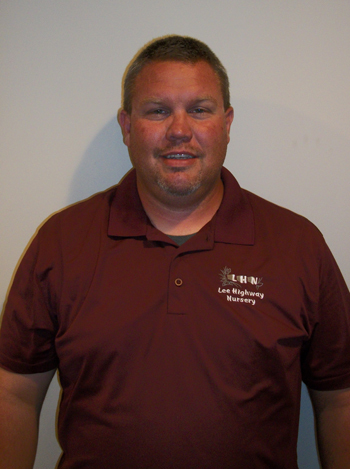 In 2010, Chad Lohr joined LHN as a part owner and general manager. He is graduate of Virginia Tech with over 20 years of experience in the landscape and turf management industries. Chad brings a wealth of knowledge with him and is actively involved in the daily operations of the business. As a family owned and operated local business, the goal has always been to provide the highest level of customer service possible, to every single customer. LHN strives to provide these customers with the products and services that will enhance their landscapes for years to come. Our team of designers and horticulturalists at Lee Highway Nursery/LHN brings over 130 years of combined experience in the landscape industry. We only employ the best and brightest. From an Arborist to landscape architects, designers, Virginia Certified Horticulturalists and turf specialists, we have the ability to handle all of your landscape and horticultural questions and needs. Long time business owners in Warrenton, Beckie and Cecil Campbell, have had a successful tractor shop, Cecil’s tractors in Warrenton for over 30 years. In 2007, they decided to spread their success to the nursery and garden center business. They’re success has grown over the years and now LHN is a thriving nursery and landscaping business serving areas from Warrenton down to Charlottesville and beyond. As a family owned and operated local business, the goal has always been to provide the highest level of customer service possible, to every single customer. LHN strives to provide these customers with the products and services that will enhance their landscapes for years to come. In 2010, Chad Lohr joined LHN as a part owner and general manager. 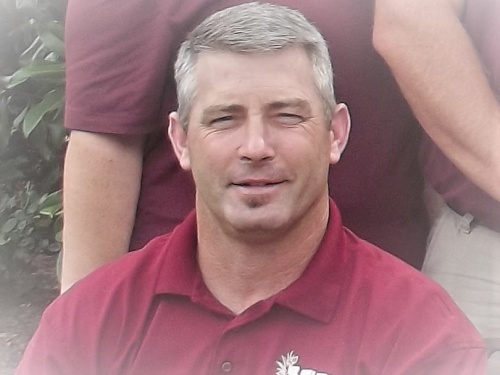 He is graduate of Virginia Tech with over 20 years of experience in the landscape and turf management industries. Chad brings a wealth of knowledge with him and is actively involved in the daily operations of the business. Chad regularly meets with design and maintnenace clients to ensure award winning results. Working with Chad ensures you are getting a wealth of knowledge in the green industry. Tim is no stranger to the green industry. Born in Toledo, Ohio and raised in his family’s greenhouse and nursery business, Mel’s Greenhouse, started by his grandfather 55 years ago. Tim attended The Ohio State University and majored in Landscape Architecture and Design. Tim has worked for very reputable landscape companies in cities including: Columbus, Cleveland and Cincinnati, Ohio. Tim moved to Virginia in 2010 to be closer to his family. Tim worked for a very reputable landscape firm in Lynchburg, Virginia before joining LHN in 2014 to be closer to his home in Charlottesville. Tim is a Certified Landscape Designer with Virginia Society of Landscape Designers, a Virginia Certified Horticulturalist with the Virginia Nursery and Landscape Association and also sits as vice president of the VSLD board. Working with Tim guarantees you will have someone passionate about landscaping help you through your project. His breath of knowledge and experience ensure that your design from concept to completion, his ideas coupled with your thoughts and dreams guarantee a winning combination for you! 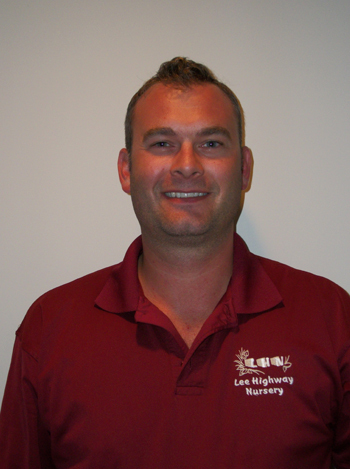 Chad Smith has been involved in the Horticulture industry for over 23 years. His experience began with five years in the retail side of the industry, which included management. Chad then moved into the landscape design, installation and landscape management side, where he has has excelled for 18 years. His knowledge and field experience has given him a thorough understanding of all aspects of landscape installation and maintenance, with increased knowledge and focus on planting, hardscaping, outdoor lighting and drainage. He is a certified horticulturalist and pesticide applicator. Chad is currently the LHN Northern Virginia Production Manager, as well as a talented designer and purchasing agent. 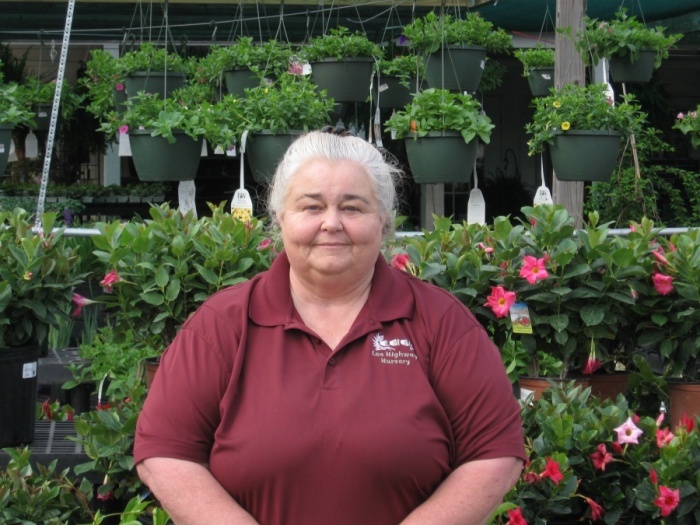 Garden Center Manager, Mary Austin, is here to help you with all your landscape, hardscape and garden needs. With 38 years in the landscape industry, she brings with her the knowledge to answer questions and make suggestions for a beautiful landscape. 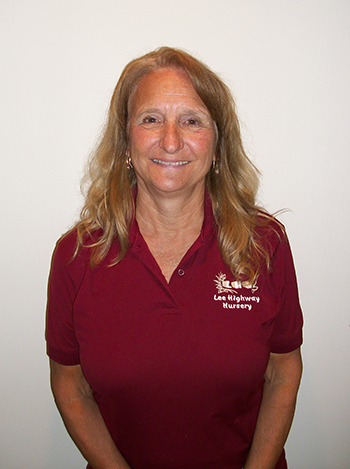 A lifetime learner, Mary attended NVCC for six years, focusing on Horticulture and Business and became a Virginia Certified Horticulturist in 1989. Mary has been in various management positions, over the years, which ensure that she knows the best way to handle any situation. However, Mary is not all business. She carries with her a lifetime of gardening experience, at her own home and was a Master Gardener, for 24 years. Mary has also volunteered on the Board of Directors of the Northern Virginia Nursery and Landscape Association for many years, mentoring new businesses along the way. She has also written columns for several publications and had the honor of working on gardening trials with the late Dr. Bonnie Appleton, with Virginia Tech. 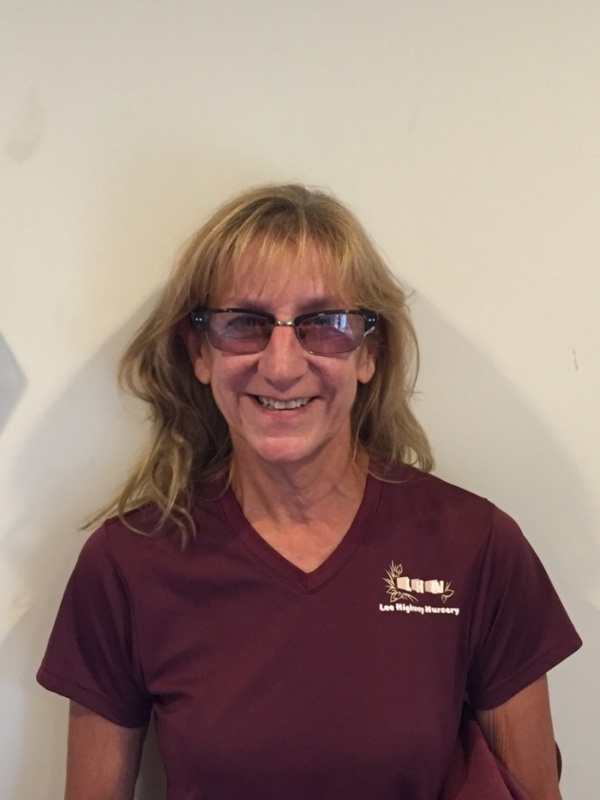 Whether you are a homeowner, civic organization or a landscape contractor, Mary is here to assist you in making the right decisions and to greet you with a warm country welcome. 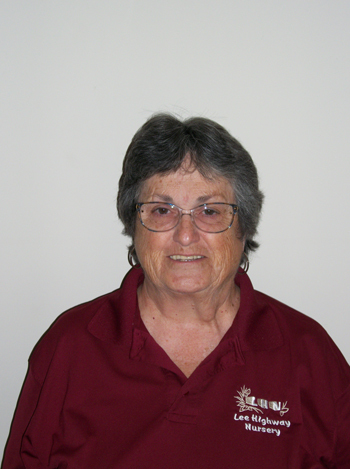 Cathy Tasker has worked in the banking and accounting fields for over 40 years. She came to work at LHN in April 2016 as the Office Specialist and currently processes payroll, accounts payable and accounts receivable. Cathy brings a wealth of office knowledge to LHN and she is very personable when handling clients calls to the office. 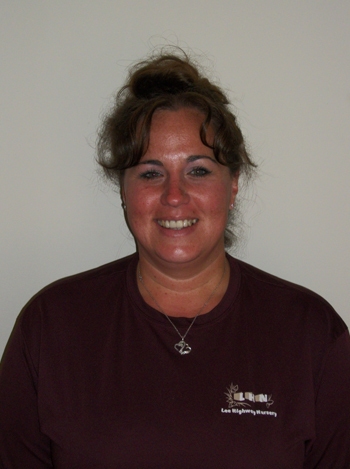 Lisa’s first job was at a Garden Center in MD, 1998, where she started as a cashier. She was moved to the different departments to learn/care for the different plant materials, ending in the Floral Department. She quickly learned and developed her eye and love for floral arranging and wedding event planning. Lisa was a Floral Manager for 4 years in MD, then moved to Hampton VA and was a Floral Manager for a large company for 7 years. Her family wanted a more “country” area to raise their children, so they moved to the Culpeper area in 2012. Lisa started working for LHN in 2012, where she managed the flora department and has enjoyed working in the different departments, throughout the company. Her current role is office assistant where she manages a variety of office tasks. for your landscape and can create beautiful gift combinations for any occasion.